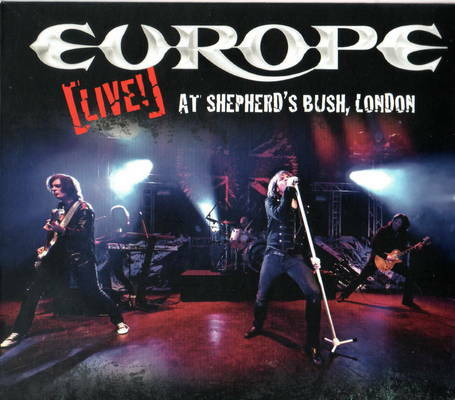 I remember vividly when, where and what, my second ever recorded music purchase was….the important detail is that it was a cassette of Europe’s, The Final Countdown. 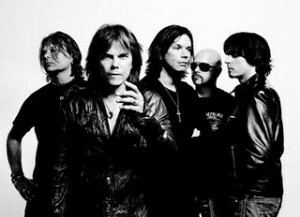 What has since been a 25 year love for the band culminated in the opportunity to interview keyboardist Mic Michaeli back in 2010 and earlier this year a chance meeting with drummer Ian Haugland at Sweden Rock Festival. 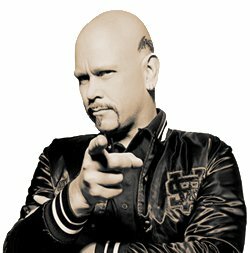 With many thanks to the kind folk at the Europe Dowunder Fanclub, we present to you a Question & Answer that they recently did with Ian Haugland, including some reader submitted questions. So check it out and importantly make sure you check out the Europe Downunder website and join their Facebook page. While we wait for the new studio album, have you all got hold of the Live At Shepherds Bush DVD/CD and Live Look At Eden earBook? Your last album, Last Look at Eden was released in September 2009, and around June 2010 here in Australia (We love it!). You’re also releasing the Balls ‘n’ Banners DVD and Live look at Eden earBOOK. It must be a great feeling to have this album so well received? It’ just fantastic how well Last Look at Eden have been received by both fans and critics. It’s like everything has started to fall into places with this album. In October, you’re planning to start recording a new album. On the recent ‘Balls ‘n Banners’ Tour, you played a new song, “Doghouse”, which sounded great. Can you give us any hints about what to expect? Are you excited to go back into the studio? We are really excited about getting into the studio. Apart from Doghouse no songs are finished yet. There are however some ideas and from what I have heard I think it’s gonna be an extension of Last Look At Eden, heavy, fast, more mellow ideas but as always with Europe, great melodies! You grew up listening to hard rock bands such as Thin Lizzy, UFO, Led Zeppelin and Deep Purple. What’s your take on classical music? I don’t think classical music has inspired Europe’s music as such. We have used classical works as parts of solo features and so on. I personally enjoy listening to classical music now and then like Wagner or J.S Bach. (Victoria C): What is the inspiration for your songs? I think anything that happens in our lives can be an inspiration for a song or a lyric. New Love in Town for instance was inspired by the birth of Joey’s son, and In My Time was inspired by the tragic loss of John Norum’s ex wife. (M.M): What is a favourite past time when it’s nothing about music? Reading a book, working on my house or just relaxing with my family. (L.A): On stage, Joey often twirls his microphone stand 360°, which is very impressive! Has he ever had any mishaps with it? I remember one time when Joey missed John Levens head by half an inch while swinging his mike stand, but he hit Johns bass instead. (Glen): Why was the Out of This World Tour to Australia cancelled? Can’t really remember, but I know that we had tons of offers to go to different countries, but we simply didn’t have the time to go everywhere. Still, it’s one of my dreams to go to Australia one day. (Undine): Have you ever thought about visiting Slovenia if not for a gig together with the band, then at least as a tourist? We would love to come to Slovenia. We really hope the opportunity comes for us to go there either on tour or as tourists. It’s great to come to a “new” country and to meet the people there. I think the most rewarding thing about being in Europe is to meet all people and to hear their stories about how our music has effected their lives. The 26th May marked 25 years since the release of “The Final Countdown” album. Congratulations! Did you do anything special to celebrate? Did you ever think that it would still so popular after so many years? We didn’t do anything special to celebrate, but we’re extremely thankful for the success of that album. It has taken us to where we are today. There’s not too many bands in the rock history that has had a hit like TFC. I would rate it up there with Smoke on the Water, Stairway to Heaven and Bohemian Rhapsody. Truly amazing to have had the chance to be part of this piece of music. The Final Countdown has a real edge to it, a certain kind of urgency, a feeling that you’re about to embark on a grand adventure. Any chance that we here in Australia will ever be able to hear that song live? And of course, all your other great hits? We’d do anything to make it happen!! We would absolutely love to come and play for you in Australia. Hopefully we can come in 2012 when we’ll have our new album out. 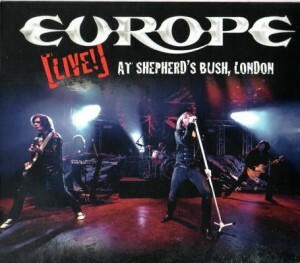 In the meantime enjoy the new DVD “Live at Shepherd’s Bush” and the forthcoming picture book “Live Look at Eden”.